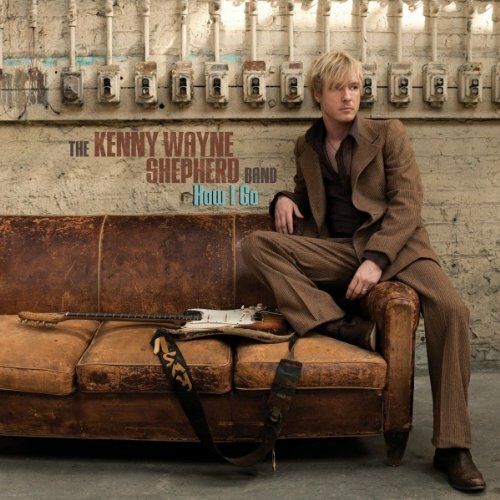 Kenny Wayne Shepherd will release a new studio album How I Go on August 2 via Roadrunner Records. How I Go is the follow-up to Shepherd's Live! In Chicago, an album nominated for a Grammy and won the 2011 Blues Music Award for Best Blues-Rock Album. This is his first studio effort in several years and it's being released in multiple formats: CD, Deluxe Edition, and double vinyl LP. The Deluxe edition will be issued in digipack, featuring four songs not on the standard CD. Shepherd and his band – vocalist Noah Hunt, Chris Layton (formerly of Stevie Ray Vaughan's Double Trouble), and Riley Osbourn, and guest Tommy Shannon (also of Double Trouble) – recorded the set produced by Shepherd and Jerry Harrison. In addition to original tracks Shepherd co-wrote with collaborators who helped create some of his bigger radio hits, the band is covering songs by the great Bessie Smith, Albert King, and The Beatles' "Yer Blues" (from "The White Album"). "Never Lookin' Back," the hard-driving first single, has already been released for download to iTunes and Amazon. The track has started getting some airplay on blues radio, where the album has moved from #47 to #38 this past week on RootsMusicReport's Blues Radio chart. KWSB will kick off their tour later this month in Colorado and dates are scheduled through August, presumably with more to follow.